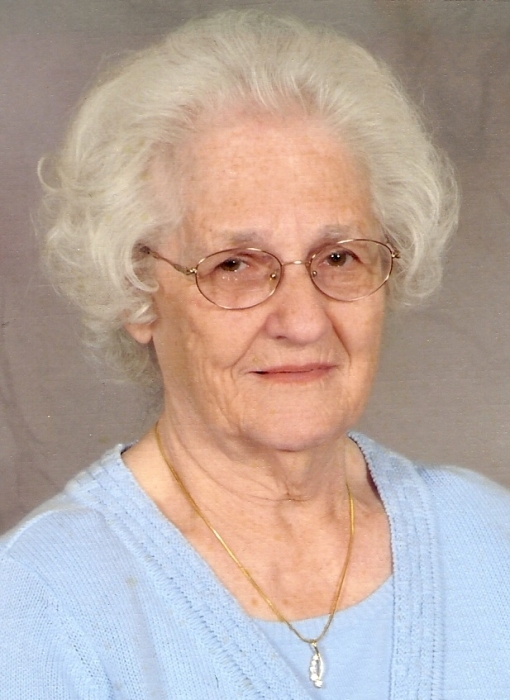 Obituary for Lena M. (Emig) Breighner | Feiser Funeral Home, Inc.
Lena M. (Emig) Breighner, 93, died Friday, March 22, 2019, at Manor Care North. She was the wife of the late Paul F. Breighner, who died August 24, 1982. Lena was born December 19, 1925, in Paradise Twp., York Co., the daughter of the late Robert G. and Mabel M. (Hoke) Emig. Lena was a lifelong member of St. John’s Lutheran Church in Abbottstown, where she taught Sunday school, sang in the choir and helped with the altar guild. She was a 1943 graduate of East Berlin High School, and enjoyed spending time with her family and cooking the Saturday evening meals. Lena is survived by three daughters, Gloria J. Breighner of Abbottstown, Joanne M. Beaverson and her husband Charles of York, and Judy K. Klunk and her husband Philip of Hanover, two sons, Gary L. Breighner and his wife Tammy, and Brian P. Breighner and his wife Yvonne, all of Abbottstown, five grandchildren, ten great grandchildren, three sisters, Erma Becker of Hanover, Doris Lease of East Berlin, and Carolyn Holsopple of Abbottstown, a brother, Kenneth Emig of Abbottstown, a sister-in-law, Catherine Breighner of McSherrystown, and a good friend, Ruth Linebaugh of East Berlin. She was predeceased by a son, Larry W. Breighner, a great granddaughter, Adalynn Bosserman, three brothers, Clair, Laverne and Harold Emig, and two sisters, Anna Sanders and Geraldine Roomsburg. Funeral services will be held on Thursday, March 28, 2019 at 11 AM, at St. John’s Lutheran Church, 100 E. Water St, Abbottstown, with her pastor, Rev. Shawn Berkebile officiating. Burial will be in the church cemetery. A viewing will be held at the church on Thursday from 9 AM until the time of the service. Memorial contributions may be made to the St. John’s Endowment Fund. Feiser Funeral Home, Inc, 302 Lincoln Way West, New Oxford, is in charge of arrangements. Memories may be shared at www.feiserfuneralhome.com.